Genre: Romance, Adult, Chick Lit. Erin Cochrane loves the gossip and the countless bizarre stories about her best friend Bex’ adventures with online dating. Not that she’d ever sign up for the site herself. Erin’s far too busy planning her dream wedding to her gorgeous fiancé, Tyson. 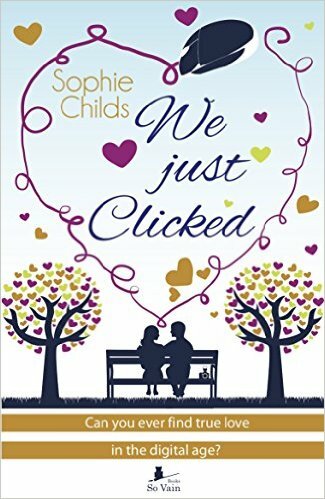 We Just Clicked was a fun, light hearted and quick read; perfect for coming out of a reading slump. It was just what I needed it when I read it. Some of the things I really liked about this book were the good writing, the sligthly dark humor, the romance and the anecdotes of online dating. I enjoyed the interactions between the main characters, Erin and Joe, in particular the messages the exchanged through the dating site; I especially loved Joe, he’s a really good love interest. Also, I found Delia, Erin’s mother, to be such an interesting character, she was the only character that really stood out. On the other hand, I thought the conflict in this was a bit silly and the ending wasn’t that good. It had a predictable plot, there were a lot of cliches, and most of the characters were very typical. What I’m trying to say with all of this basically is that it wasn’t anything unique or special. Nonetheless, I would recommend this because everyone has times when they need a fluffy, entertaining, easy to read book, and We Just Clicked is exactly that. Are you planning on reading this book? Have you read it? Did you enjoy it? Let me know in the comments! It's true! We all need a light fluffy read every once in a while. The online dating aspect is interesting and I always love dark humor. Might have to check this one out!